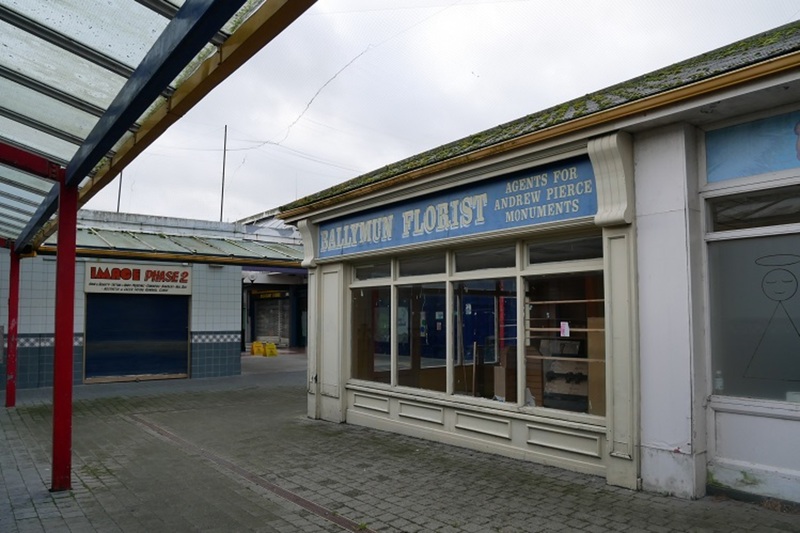 Businessman Robert Murphy and some others first broached the idea of a buy-out of the Ballymun shopping centre a few years ago. Why not mirror what some rural communities have done when threatened with the closure of a pub or local post office, and take it over and run it themselves? “A kind of community-operated shopping centre,” he said, one winter evening towards the end of last year, sat in the foyer of the Travelodge that overlooks the windswept plaza. At the time, their plan fell short though, said Murphy. The wheels seemed to be in motion for Dublin City Council to buy complete control of the land and centre itself, which it did in mid-2014. Since then, local councillors have agreed that the empty squat building should be demolished. But not what should replace it. And for about a year, Murphy and a lengthy list of others – including Hugh Brennan of the Ó Cualann Cohousing Alliance, Valerie O’Carroll at the Family Resource Centre, and community activist John Dunne – have again been teasing out the details and practicalities of coming together to use a new model to develop the site. Rather than a purely for-profit business, those in the Community-Owned Responsible Enterprise group, or the CORE Ballymun, have an ambitious plan to develop the site through a social enterprise. If it were to work out as planned, it would mean a new civic space, shopping and leisure facilities, start-up units and commercial offices, and affordable housing. The profits, meanwhile, would remain in the area to be used for the good of the community. 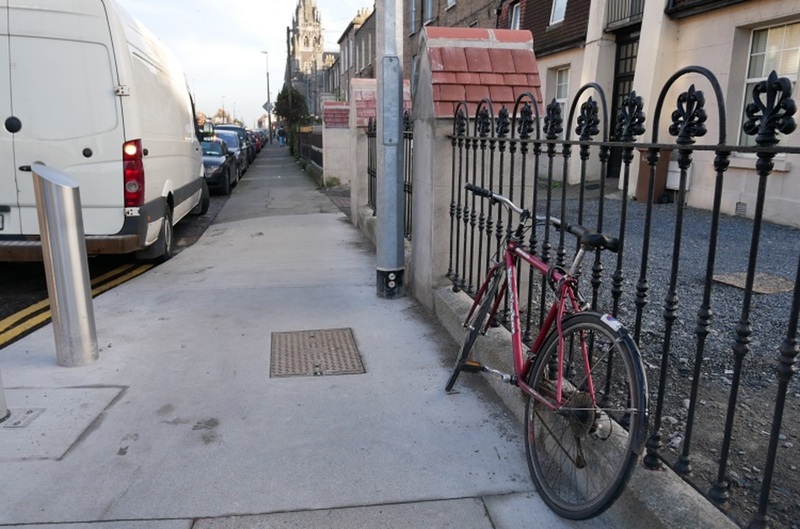 There are challenges, though: getting Dublin City Council’s support, which is crucial to making the project work; and a new Lidl-centred development that now appears to be on the way, which might hinder momentum for the project. The group’s vision at the moment is based on smallish town centres that work well around Europe, rather than a ginormous covered mall, says architect Joe Kennedy of Smith + Kennedy Architects, who is also part of the group. “Major shopping destinations tend to pull the energy out of the centre of communities these days,” he says. So their masterplan – a starting point, they hope, for discussions – is a streetscape with blocks creating streets of different widths, with a mix of uses scattered throughout. There would be office space handy for the airport and retail. There would be space, perhaps, for start-ups and for university outreach offices. Housing would also be a major component. Brennan envisages about 700 apartments on the site. “We’re looking at the possibility of having those in a co-op or a number of small co-ops,” he said. All of those would be affordable rental, affordable purchase or social rental for elderly people. “It’s always good to have elderly people beside or close to a shopping centre. It keeps that kind of life there, that can be missing, you know,” said Brennan. They would stagger the development, putting in place the residential first and then, with the extra spending power from those households, attracting in businesses for the retail part of the development. Brennan says that the finance should actually be relatively easy. “Believe it or not, it is,” he said. The development would be owned and run by a co-op, Murphy says. It would be for-profit, but rather than an investor coming into town and producing a one-way funnel of money out, the profits would be fed back in the community based on the advice of a community forum or something similar. “We’re really determined that you know, people see the value in that, that when you spend a euro in that centre, they’ll realise the value in that, that they’ll realise the benefits back into the local community,” he said. As it is, most of the money Ballymun residents spend on shopping leaves the area because, with the lack of local options, they spend it in other areas, according to a 2016 retail survey. That survey found that 75 percent of spending on convenience goods (the kinds of things you buy often, like bread, milk, or newspapers) and 90 percent of spending on comparison goods that you buy from time to time (such as electronics or appliances), seeps out of the area in this way. To make sure that the development was what the broader community wanted, Brennan says that they might do a “charrette”, a kind of workshop over a day or a few days, during which residents and architects and businesses sketch out and hone ideas. “At the end of the day, you come up with something that hopefully isn’t a camel if you’re designing a horse, but it’s a managed process,” he said. That will come later, though. Those behind the project are also conscious of the need to promise only what can be delivered, and importantly, to get the backing of the council. Murphy and the others decided to name the group the CORE Ballymun, because there was a feeling that the neighbourhood has had its heart ripped out, that it desperately needs a centre. 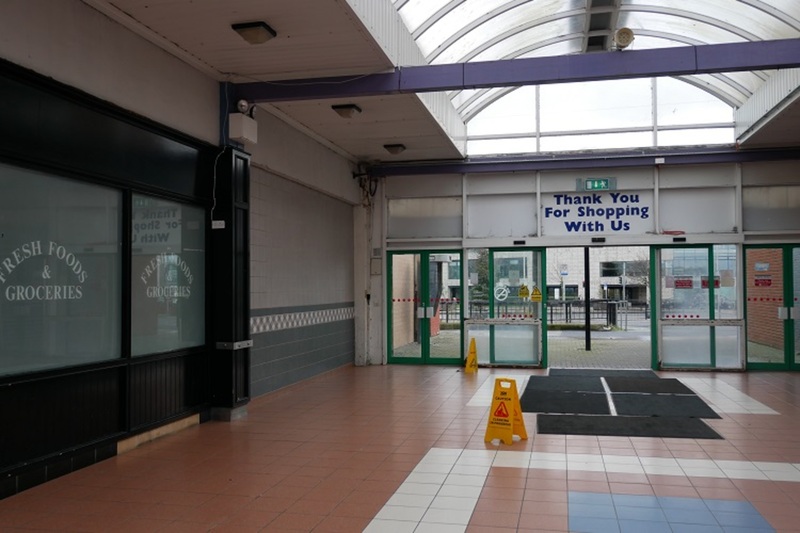 At the moment, the corridors of the shopping centre are lined with empty, boarded-up stores and drab shop fronts. It’s a short cut for those headed west from Main Street. These days, shoppers have to leave the suburb to stockpile some of the basics that they need for the week. It wasn’t supposed to be like this. Over the years, plans to redevelop the shopping centre site, which stretches over 3 hectares to the west of the main road, with private developers have fallen through time and again. Which is why those in the Ballymun CORE say it’s time for a new approach. Some local councillors are supportive. “Often in a situation where there’s an absence in the market, then new and creative forms of financing projects come forward. And I think that’s what’s happened here,” said Fianna Fáil Councillor Paul McAuliffe. 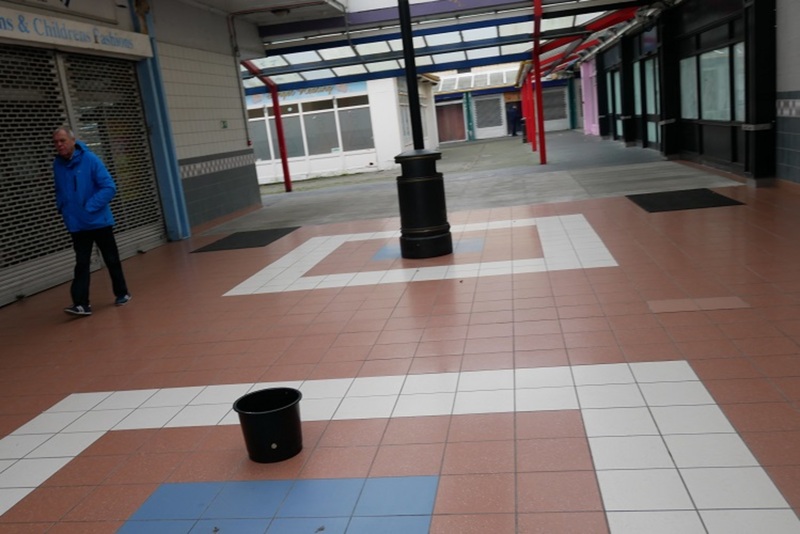 Part of the challenge has been that private developers have judged the neighbourhood to have low levels of disposal income, making it unattractive for them to invest in a shopping centre for those who live there. The authors of the 2016 retail study for Ballymun came up with estimates of what the neighbourhood could be expected to support in terms of new retail. It gave lower limits and upper limits for floorspace for shops based on considerations such as how disposable incomes might, or might not, increase in the future, whether there will be residential developments, upticks in the economy. For convenience goods, the suburb could support between 1,258 net sq m and 2,115 net sq m, the survey said. For comparison goods, the suburb could support between 1,551 net sq m and 3,340 net sq m.
Murphy said that there is a concern that plans for a Lidl-centered development just north of the shopping centre might take momentum out of the push to build a real heart for the town. The Lidl plans include 1,678 net sq m in the footsore, of which 80 percent is convenience goods. And two other retail and cafe outlets, covering 597 sq m. But some locals say that they are a far cry from the promises made during the regeneration. Those in the CORE Ballymun group think that the retail study is missing something, too, that its predictions for what the neighbourhood can support are too low. It skipped over key groups who come into the area to spend, and didn’t pay enough attention to the potential growth in households. Brennan says that it’s anecdotal at the moment, a feeling based on little changes he has noticed in recent times. It might be somebody buying a new car, or noticing that those in trades have a bit more work. Have they done their own survey on need? They have their own projections based on what they have learnt from the co-op, calculated out to predict the extra spending that would come from 2,000 more affordable homes in the area. (That’s what the Local Area Plan predicts could be developed there.) “But we need something more scientific,” says Brennan. 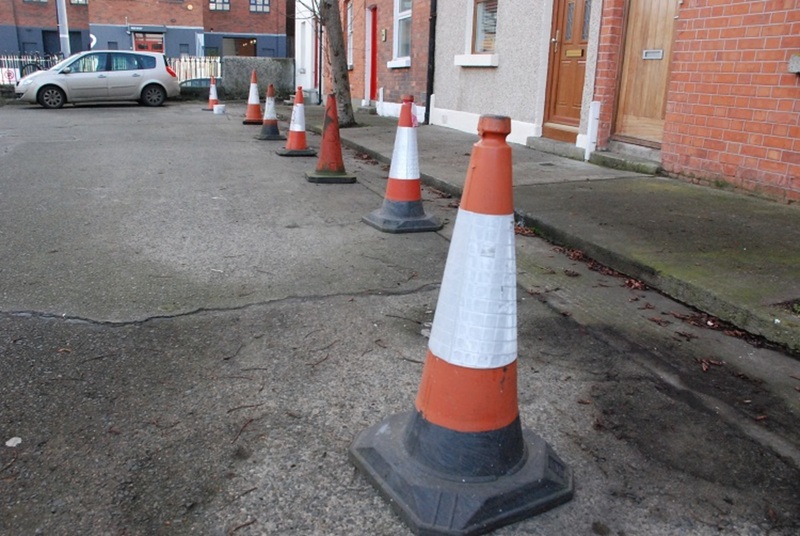 They also plan to look into another issue that they also want Dublin City Council to take into account when deciding whether to support their project, sometimes perhaps harder to quantify: What is the cost of doing nothing, of leaving a community short of services, and a vacant site in the heart of the town? “Ballymun is a broken place,” says Kennedy. 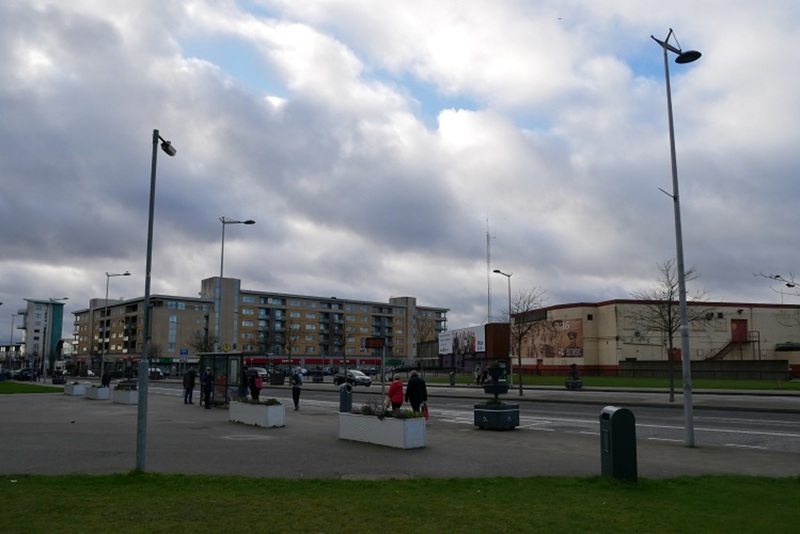 It’s at risk of going into “a second period of decline in two generations, very quickly, if something doesn’t happen there, in the core, in the heart of Ballymun”. That would be “a crying shame, because some of the community spirit in Ballymun is the best I’ve seen,” he said. Will the Council Support It? Like the Ó Cualann affordable housing project a walk away in Poppintree, the shopping centre plan would need material support from Dublin City Council in order to progress. 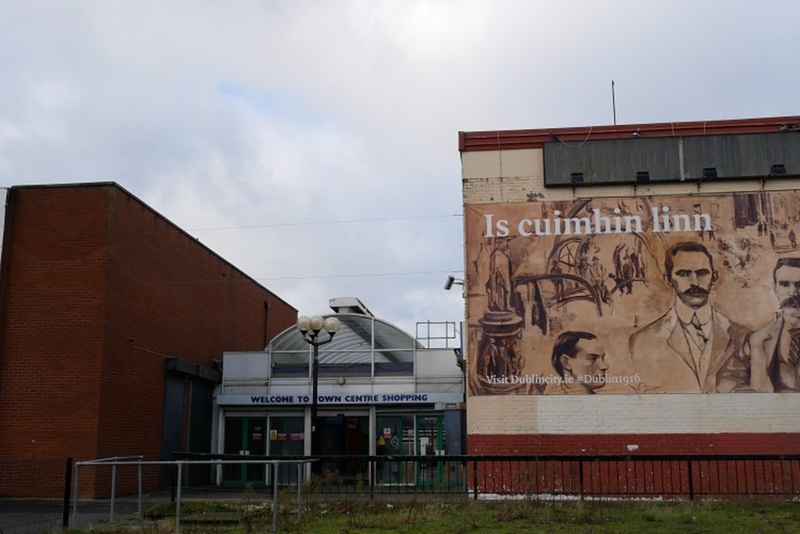 A spokesperson for Dublin City Council said that it wasn’t able to answer several questions at the moment around its plans for site and willingness to consider a social-enterprise model like the one CORE Ballymun is proposing. Fianna Fáil’s McAuliffe said that he is optimistic about the project, but that the city council will want to see issues address around financial viability, and the ability to deliver the project. “But I think those things can be achieved,” he said. McAuliffe said that if the council is going to forgo the majority of the money it would have pocketed from the sale of the site, and give it to a social enterprise at a lesser rate, it also needs to justify that – and make sure it is working within the rules for public procurement. “Who would be the ultimate beneficiary of that? And people would be quite sceptical of that too,” said McAuliffe. What happens too, if a large private developer does come along and offer to pay many millions for the land? Brennan says that under the CORE Ballymun proposal, the council wouldn’t get the €6 or €7 million from the site that they would if they sold to a big private developer. “But what they will get is the profit that the commercial side of the centre will make over the years will be spent in the local area. 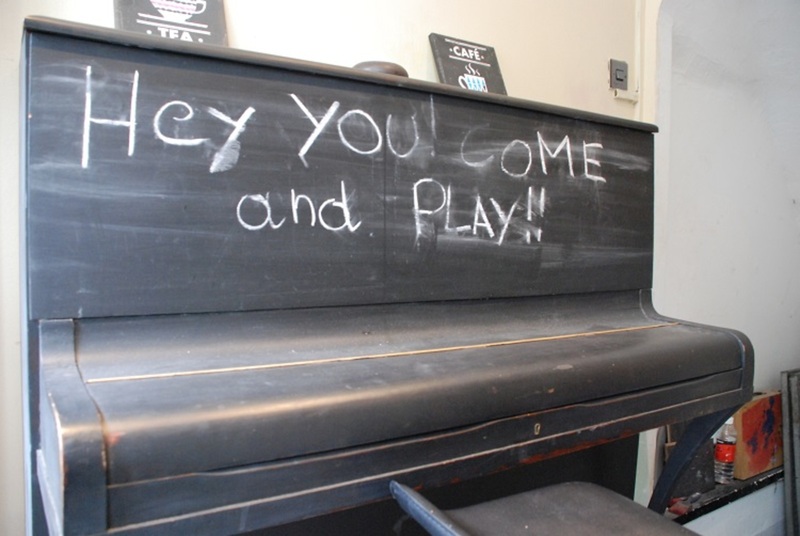 They’re returned to the local area because its community-owned,” he said. He lists the benefits. The increase in disposable incomes that would come from adding affordable homes across Ballymun, the spending in the local area, the benefits that the council would get from rates as other businesses starting up. “That puts your €6 million into the ha’penny place,” he said. McAuliffe notes that back in the 1960s, the council owned the shopping centre but there’s no mechanism for it to be that involved now, he said. So housing would have to be the heart of the project. “If it’s a large housing project that delivers retail, then I think you could do it under all of those tools, under all of those mechanisms. There’s no mechanism for the state subsidising to build a shopping centre,” he said. Whether it progresses will be up to both councillors and officials. But while councillors have the power to vote through or veto the sale of council-owned land in the final stages, but they don’t really have the wherewithal to kick off the process. “If the manager doesn’t believe that the project would get off the ground and so on, it could really get bogged down in the detail. It could get bogged down in the minutiae long before the report ever comes to us,” said McAuliffe. The group also has to overcome a more intangible barrier, a wariness from council officials to work with people pushing new ideas which – says McAuliffe – is in a way understandable. Who gets the blame if things fall apart? But as those who have been involved in the Ballymun community for years, and with a record of getting stuff done, those in the group say that they have skin in the game. Murphy becomes reflective as he calls himself, in a way, “a bit of a product of regen”. He backed the tearing down and building back up of the neighbourhood. He has been in Ballymun for 48 years, living at one time in the now gone tower flats. “I walked up those stairs, I’ve been through it all,” he said. He started his retail career with a 20-foot shipping container which he bought for £5,000 in 1989, and ran as a van shop in Poppintree off Balbutcher Lane, staying open 21 hours a day. “I used to be known for having everything in it, you know, like a haberdashery, needles, thread, milk, bread, whatever,” he said. In 2003, he had the chance to buy a retail unit. Now, he counts 82 employees across the businesses he runs: the post office, Supervalu, Centra and an off-licence. He is involved in the Tidy Towns, and the Family Resource Centre, Our Lady’s Nursery, and Ballymun 4 Business. “I’m sure people are sick of hearing me,” he says. It has felt to him, though, as if the regeneration has stalled, as if the hope of a heart for the community is slipping away. “That’s where I feel responsibility. I don’t think it can be delivered without community involvement and I see myself as one of those community-involvement people,” he says.